Let’s face it, most people feel pretty bad after eating fast food. What if there was a way that you could feel slightly less … guilty … after eating it? 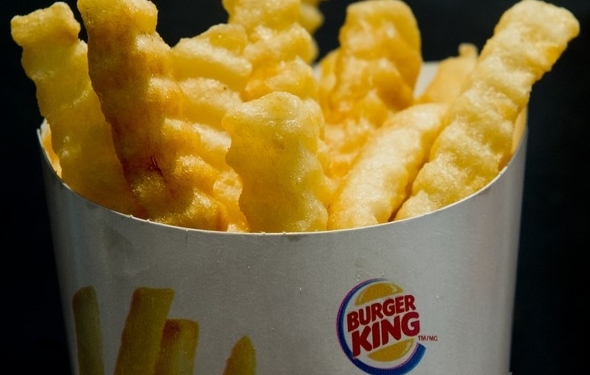 Well, Burger King might have just what you need thanks to its new reduced-calorie French fries. This does not make eating Burger King good for you, but it does reduce the fat and calories. Burger King, which is still considered America’s third largest fast food chain, is adding new reduced-calorie and reduced-fat French fires to its menu. The goal is for Burger King to attract people who are eating fast food but don’t want all of the calories that come with eating it. These new fries, which are being called “satisfries,” are crinkle-cut. A small serving has only 8 grams of fat and 190 calories. In total this is about 40 percent less fat and 30 percent fewer calories than what is found in its traditional small serving. The North American President for Burger King, Alex Macedo, said that one out of every two customers that go into Burger King order French fries. Thus, Burger King knows that guests are looking for an option that is better for them, and “satisfries” are it. The thing to remember about these fries is that they are better for you only as long as you do not eat more of them. Experts say that a lot of times when people see that something has reduced-fat or calories, they automatically assume they can eat more of it. If you usually get a medium serving of fries, continue to do so. Do not upgrade to a large just because they are reduced in fat and calories. Fast food restaurants are trying their best to lose the junk food image. They are doing this by offering more variety and more options. For example, McDonald’s serves wraps that are lower in calories and fat than hamburgers. In the end, these restaurants are trying to put the option to eat healthy in our hands. The problem is that most people still choose to eat unhealthy foods whenever they visit these restaurants. Burger King would not go into great detail on how they lowered the fat and calories in these new fries. They said that the fries are still made the same way using the same ingredients. The difference is the batter that they use on the fries. It apparently keeps the fries from retaining a lot of oil when they are deep-fried. This, of course, lowers the calorie and fat content. These new low-calorie fries are available as of yesterday.